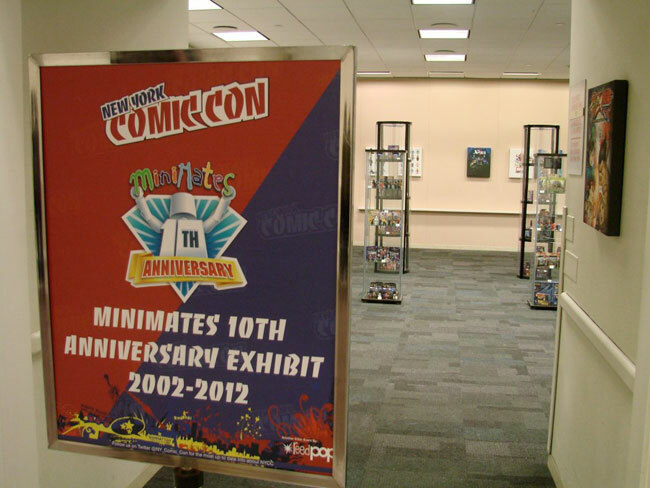 Diamond Select Toys to Open Minimates Headquarters at Comic-Con International! 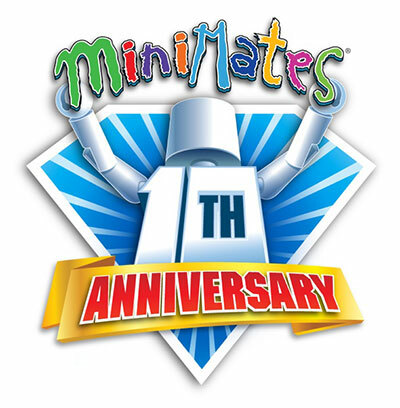 July 2013 - For the past year, Diamond Select Toys has been celebrating the tenth anniversary of their Minimates toy line, from the mini-figure line's debut in 2002 with Star Trek and KISS to the launch of the flagship 2-inch Marvel line in 2003. 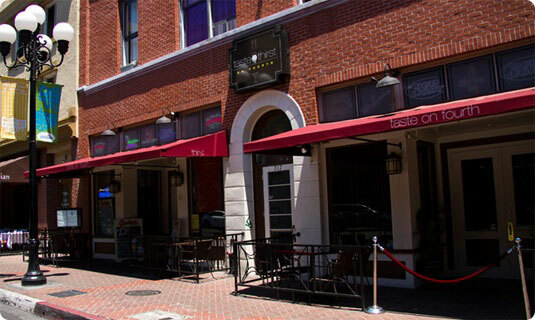 With the anniversary coming to a close, DST is turning things up a notch by transforming one of San Diego's best eateries into Minimates Headquarters for the weekend of Comic-Con International! 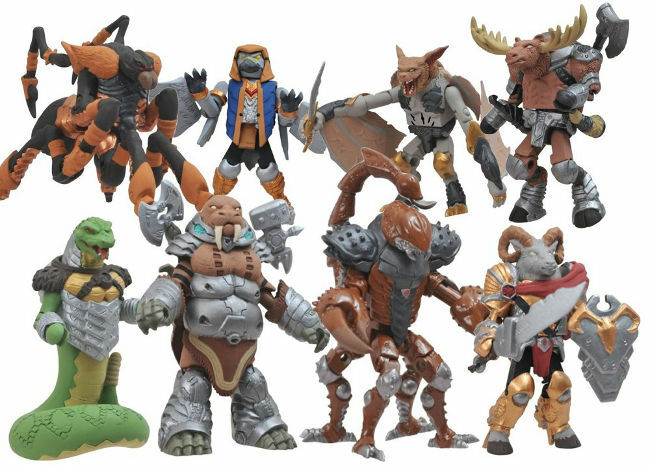 Battle Beasts Series 1 Hits Toys "R" Us with New Battle Beasts Animated Short! 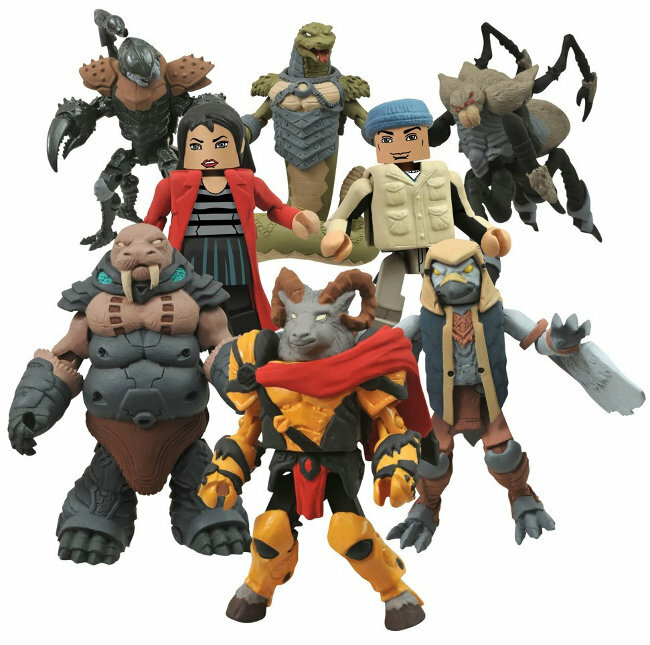 February 2013 - The Toys "R" Us-exclusive assortment of Battle Beasts Minimates has started to pop up in stores, and Diamond Select Toys is celebrating with a new stop-motion animated short film! January 16, 2013 - The long wait is over! 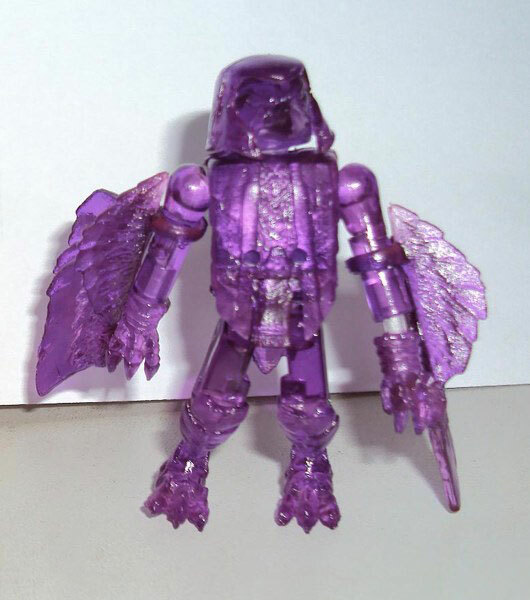 This week, New Toy Day will finally bring to the masses Series 1 of Battle Beasts Minimates! With characters and paint schemes exclusive to comic shops and specialty stores, plus new packaging with artwork by Dan Brereton, this assortment of Diamond Select Toys' most detailed Minimates ever is not to be missed! 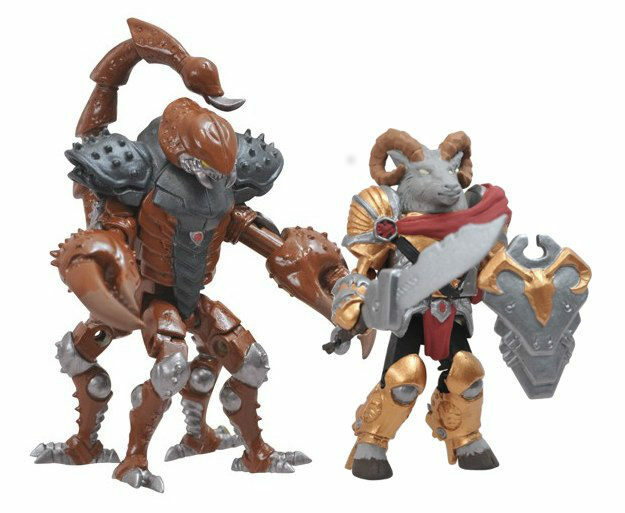 This assortment of two-inch warrior animals includes four different two-packs: Vorin the Ram with Vachonus the Scorpion, Merk the Falcon with Fenruk the Tarantula, Gruntos the Walrus with Tate Reynolds and Strictus the Rattlesnake with Bliss Reynolds. The Beasts are all depicted in exclusive comic- accurate color schemes, and human characters Tate and Bliss are only available in this assortment – they each come with one of the two Dread Weapons, so don't miss out! 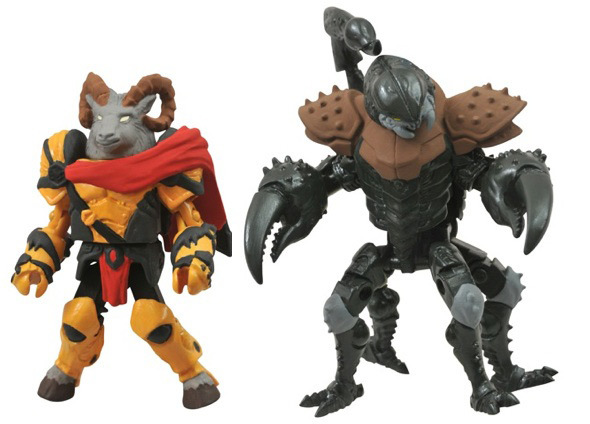 Toys "R" Us-Exclusive Battle Beasts Minimates Revealed! November 21, 2012 - You've seen the Battle Beasts that are coming to comic shops and specialty stores -- featuring characters and paint schemes inspired by the hit IDW comic book, they will be a must-own for anyone who's read the action-packed story. But there are more Beasts on the way! In addition to the specialty assortment, there will be an exclusive assortment of Beasts that are only at Toys "R" Us and http://toysrus.com this December! Featuring characters and color schemes not found at comic shops, these two-packs will help you build your beast army! The heroic ram leader faces off against a notorious desert bandit -- a massive scorpion who preys on all who cross his path! October 2012 - The Battle Beasts have invaded San Francisco in the pages of IDW's comic book mini-series, and now they're invading Zoo York! 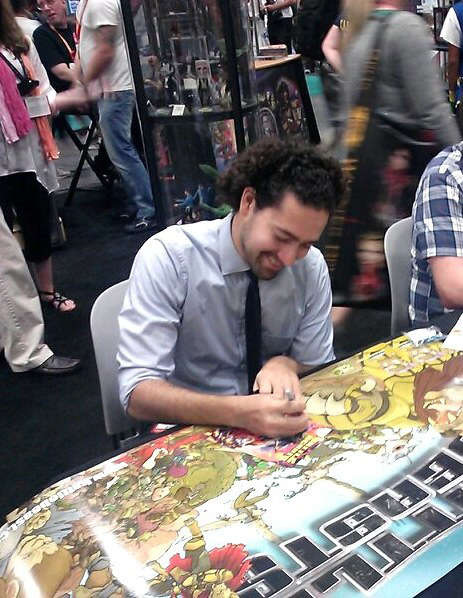 Diamond Select Toys will hold a Battle Beasts signing at their booth at New York Comic-Con with Brooklyn-based artist Ulises Farinas, the artist behind the wraparound cover (and the SDCC exclusive cover) for Battle Beasts #1 from IDW Publishing. Farinas will sign free full-sized posters featuring the wraparound cover's detailed battle scene from issue #1, and will also sign Battle Beasts comics for fans at no charge. The signing will take place on Saturday from 2:00 pm to 3:00 pm at the Diamond Select Toys booth, #2156. 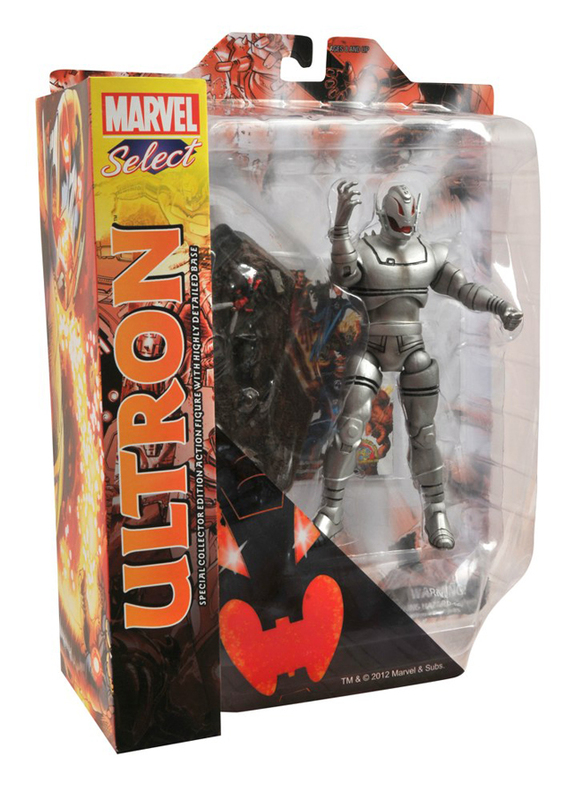 In Stores This Week: Ultron, Silver Surfer and the Battle Beasts! September 19, 2012 - If it's Wednesday, it must be New Toy Day! 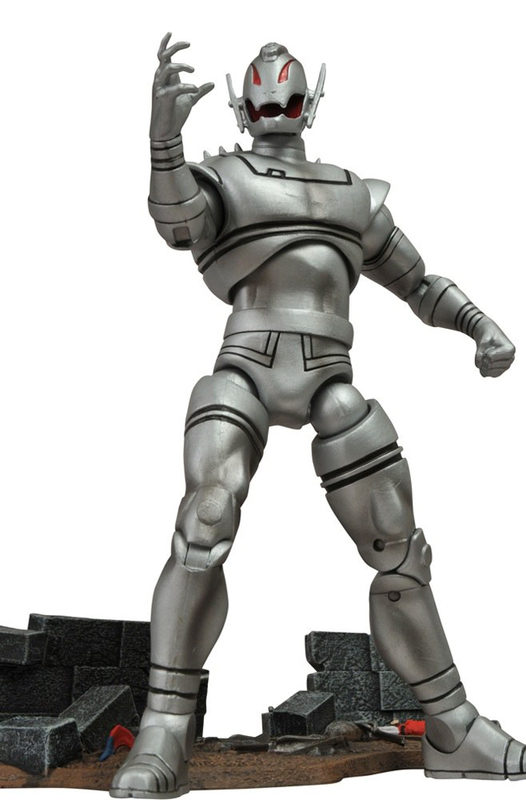 Diamond Select Toys has a couple of new products shipping to comic shops this week -- both of them Marvel Comics-based -- and there's also an actual comic book they want you to check out! It's not Marvel, but it's quite possibly the awesomest comic you will read this week. Let's see what's coming out! 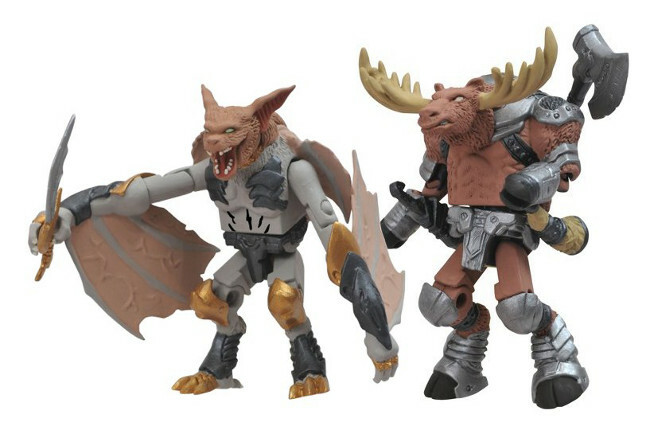 Battle Beasts Minimates Series 1 Revealed! 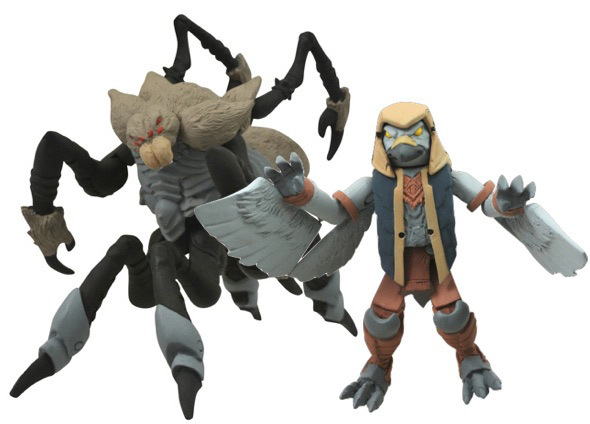 August 17, 2012 - After years of planning, Diamond Select Toys has opened up pre-orders for their first series of Battle Beasts Minimates! 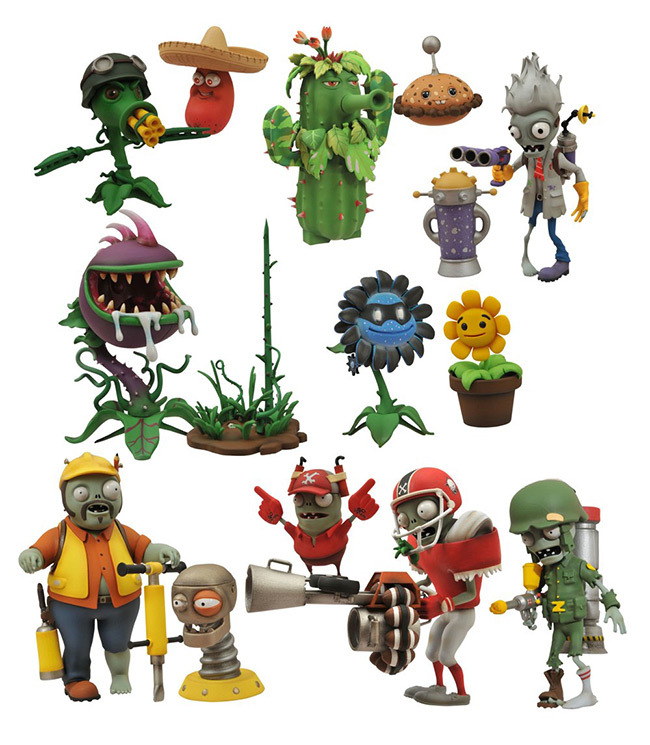 Appearing in the September issue of Previews, the first series of specialty figures will follow the IDW Publishing comic book mini-series, with characters and color schemes that will only be found at comic shops and specialty stores. The leader of the the heroic band of rebels faces off with the leader of a nasty band of desert Beasts! Vorin's deadly comrade takes on one of the creepiest Beasts he's ever encountered!